5 Reasons I Sware By Acupuncture! Acupuncture. Its a science and an art that is downplayed by those who don’t know and, for those in the know, worshipped. I have, in the past 2 years, done close to 100 treatments (long story) with a killer acupuncturist, Dr. Wing Benn Deng at Yo San Clinic in Venice (he’s a Jedi, he’s my health Yoda, you get it, I’m obsessed) and I can speak very clearly as to what acupuncture has done for me beyond “relaxation”. When I am feeling stressed or sick and say I am going to the doctor and later reveal that I’ve seen Dr. Wing for a treatment, some roll there eyes…yet I’m almost instantly better! 2. Learning how integrated your body is. Points on your feet directly relate to your stomach. I can almost feel the digestive system points on my hand from sense memory. I’ve had nedles in my face, ears, feet, calves… scalp… and all to treat my stomach, immune system and allergies. That means that you can’t neglect your body on any count- its all working together! 3. Healing without drugs many times, or with minimal herbal remedies. I’ve never taken an herb and acupuncture has cured everything from medication detox and autoimmune disorders to digestive problems and sinusitis. I’m not saying Western medicine is bad, I’m saying that a gifted acupuncturist has helped me to compliment that medicine 1000-fold! 4. Learn more about Traditional Chinese Medicine principles in life. For example, its really vital to get to bed early, as your body does its major healing between 10-12pm. In TCM philosophy, you can sometimes afford to sleep less if you go to bed before midnight. 5. Participate in your healing. Acupuncture treatments have helped me to understand how much I have to do with both my lilless and wellness. Whencovered in needles, I activate tons of intention in my body and I have learned to direct that intention to body parts that need extra attention. Also, I’ve realized that my emotional wellbeing is directly tied to my health in a way far more dramatic than I would ever acknowledge. My personal experience (not medical advice!) 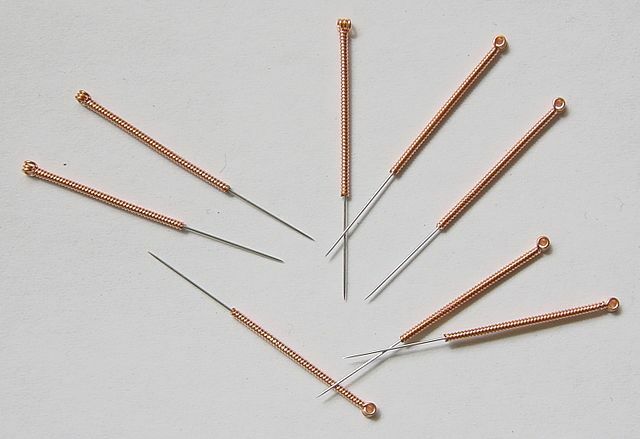 is that if you are curious about acupuncture, seek personal references and read lots of reviews. Given the failures I’ve heard from friends going to just any practitioner, I firmly believe great acupunturist is critical to have great results! Previous post: My Requisite DIY Holiday Gift Post…Chic & Cheap! Next post: Life Is Art!